On our walk today, we passed something fluttering in the grass. It was a blackbird chick demanding to be fed. 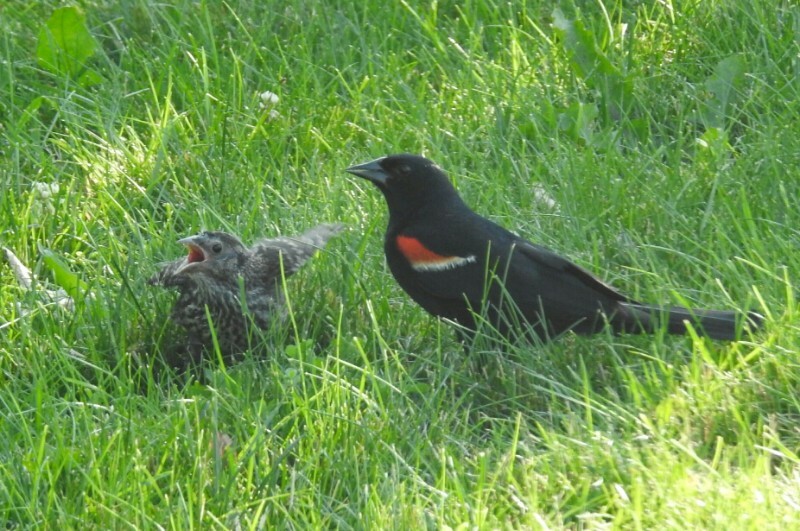 Its father — or some random adult male blackbird for all I know — complied. But he changed angles faster than I could change my focus. 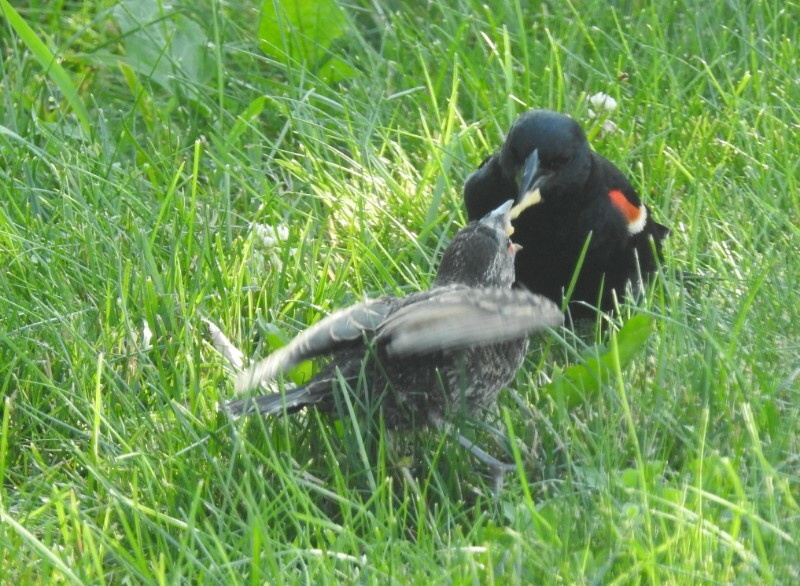 I had to take a picture anyway, since I’ve never seen a red-winged blackbird feeding its chick before. I am not too worried about the chick being on the ground. This grassy area is near a bed of reeds, and red-winged blackbirds usually nest pretty low in any case. I have faith that it will make it back to its nest if need be.